Kooza first premiered in 2007 in Montreal, Quebec, Canada where circus conglomerate Cirque du Soleil, the largest theatrical producer on this earthround, was founded in 1983 as part of the 450th anniversary celebrations of Jacques Cariter’s voyage to Canada. Defining “nouveau cirque” by combining circus styles from around the globe, animal free thrills, continuous live music, death defying stunts and its theatrical, character driven approach, Cirque du Soleil expanded rapidly through the 1990s and 2000s, going from one show to 19 shows in over 271 cities on about every continent except Antarctica. 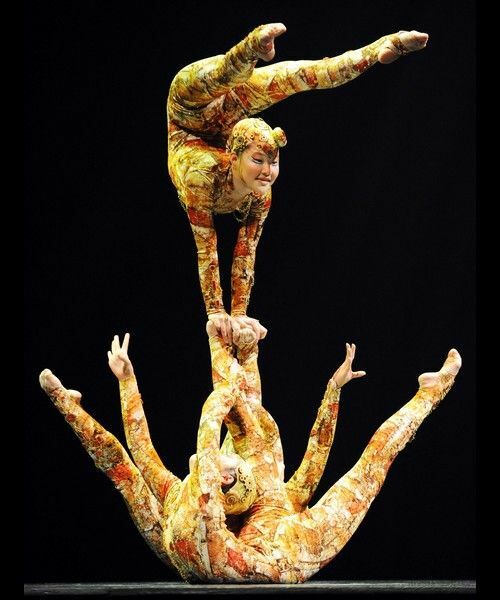 Accessible, earnest, yet undeniably artful – these were Cirque’s trademark qualities. A brand with a myriad of incarnations. As brands become bigger, financially successful and multi-faceted, extending its offerings whilst retaining vitality and relevance without compromising its artistic integrity can be a challenge. Your humble narrator has had the pleasure of seeing Cirque du Soleil productions in different locations. Especially recent ones were hit and miss, especially when the shows derived from the realm of traditional circus traditions: it got bigger, flashier and at times over-poised and acrobatically underwhelming. “When in doubt, go back to the basics” might be a worn out, clichéd phrase, but it certainly holds true for Cirque du Soleil’s Kooza, which sees a return to the trademark blue-and-yellow Big Top. Kooza reflects Cirque du Soleil's return to more traditional circus arts with clowning and acrobatics: Inspired by the Sanskrit word “koza” – which means box, chest or treasure, the name KOOZA was chosen because one of the underlying concepts of the production is the idea of a “circus in a box” – only fitting that Kooza kicks off with the Trickster being unleashed like a jack-in-the-box to kick off the proceedings. The return to the Grand Chapiteau creates an intimacy that is vital to foundation of the Cirque du Soleil experience: Kooza's stage is designed to evoke a public square that changes into a circus ring. The sight lines offer views of up to 280 degrees which serves as the platform for an international cast of 50 acrobats, musicians, singers and actors presenting heart-stopping feats and clowneries to a seamless live soundtrack fusion of jazz, 1970s funk and Bollywood beats emanating from a dominating traveling tower dubbed the "bataclan." The structure of the Grand Chapiteau is always in full view and all aspects of the performance are transparent - the fact that there is no effort made to disguise or conceal the performances helps to focus the attention on the artists and thus creates an environment where the danger of the acts is palpable. The comic-book aesthetic of the more than 175 custom-made, intricate costumes complements the scenographic set design with its focus on archetypes and universal characters, drawing on a wide variety of sources of inspiration: Paintings of Gustav Klimt, Indian and Eastern European touches, Mad Max and timetravel movies laced with winks towards the Wizard of Oz and Alice in Wonderland. Be it the house troupe creating human towers Nutcracker-style inspired by the Inuit game of “Blanket Toss,” jaw dropping feats of contortion creating a tableaux of sculptural beauty, an aerial hoop act, a pas de deux waltzing on a unicycle, fencing and other stunts on the high wire that most of us would have trouble with performing on the ground, the artist powered wheel of death or the teeterboard catapulting artists into lofty heights where they perform quintuple twisted summersaults with stilts strapped to their legs– with each act Kooza combines thrilling acrobatic performance with infectious fun and genuinely warm and funny undertones. Kooza is engaging, charming and gradually upping the ante throughout the show. A true return to form focusing on human performance in its rawest, most frail yet glamorous and awe-inspiring state. 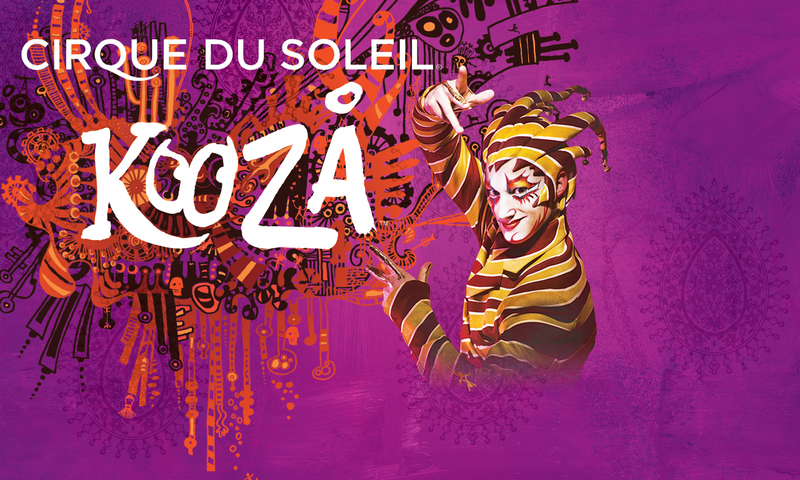 If Cirque du Soleil’s mission was to invoke the imagination, provoke the senses and evoke the emotions of the spectators, Kooza as a colourful mélange and tribute to the core values of the golden days of the circus - accomplishes it. 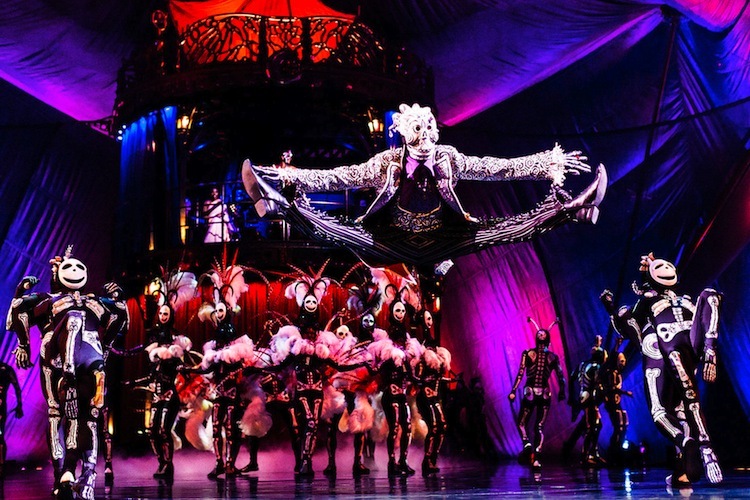 Kooza does not only have the “wow factor” but firmly establishes Cirque du Soleil as the “wow factory”: This is Cirque at its best - an immersive, thrilling and entertaining night out. 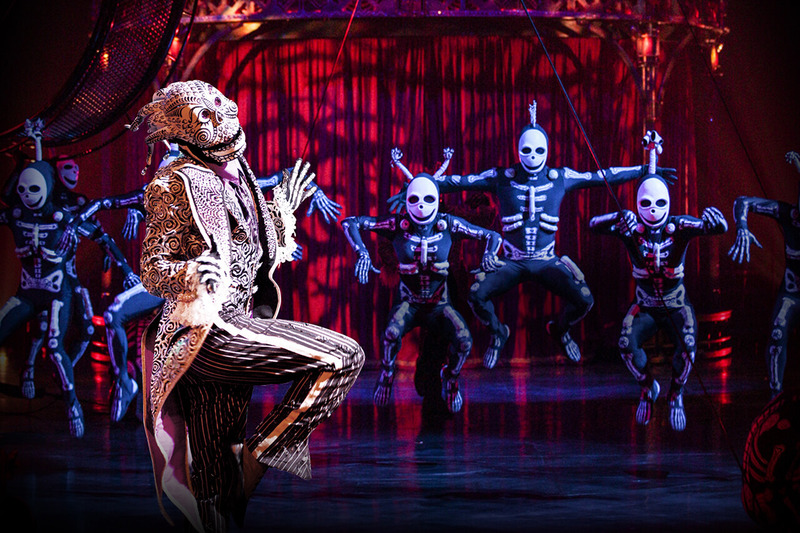 KOOZA by Cirque du Soleil will conclude its Sydney season on November 13. Following Sydney, the tour moves to Brisbane, Melbourne and Perth.